AMF Castings & Engineering is the manufacturer of SG Iron Casting. SG Iron casting are used in different types of industries. We manufacture SG Iron Casting upto 500 kg single piece. 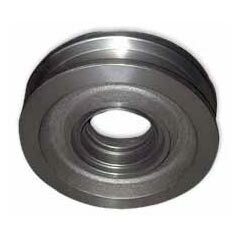 Casting as per IS-1865 grade 500/7, 400/18, ASTMA 536 & DIN 1693 GGG40 manufactured. Machine moulding facility for smaller casting is available.